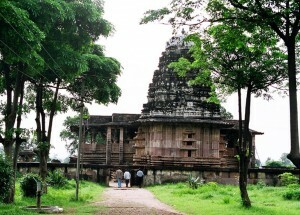 Better known as the place, which hosts the Ramappa Temple. Palampet village is 70 km from the district headquarters town of Warangal. The Ramalingeswara temple, a classic example of Kakatiyan architecture, is an archaeological wonder. The construction of the temple dates back to 1213 AD and originally, there were said to be three structures but only one is intact and the Shivalaya stands majestically on a six-ft. high star-shaped platform. As was the tradition of Kakatiyan rulers, a tank was excavated adjacent to the temple and the Ramappa Lake is known for its scenic beauty. Palampet village is 67 km from Warangal city, the nearest railway station. Warangal is 130 km from Hyderabad and lies on the rail route to Vijayawada. Regular buses ply from Warangal. This entry was posted in Andhra Pradesh, Palampet. Bookmark the permalink.